Cornell University is a privately endowed research university and a partner of the State University of New York. In 2016, Cornell Information Technologies moved the university’s financial data warehouse from on-campus hosting to AWS. 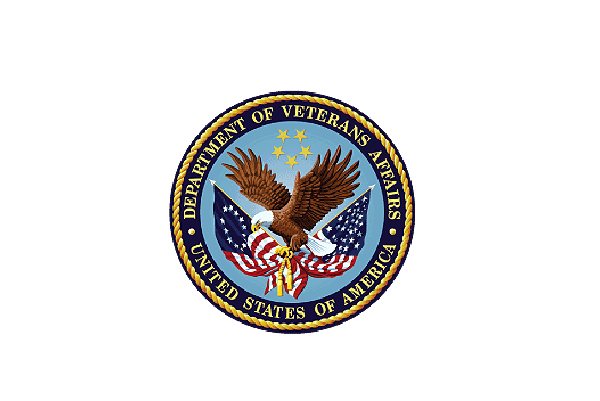 The US Department of Veterans Affairs (VA) processes hundreds of thousands of Veterans Appeals each year. "Our appeals processing system, VACOLS, includes 20 million records stored in an Oracle 11g database. The system is more than 20 years old and is in the process of being modernized. During this time, we need to ensure that the data is securely replicated into the cloud for safekeeping. We're using AWS DMS to replicate the database into an RDS Oracle database in AWS GovCloud, in a Multi-AZ deployment. This setup ensures that VACOLS data is preserved, secured, and highly available in the cloud, which is a serious win for VA and for our Veterans, who rely on us for the safeguarding of their information." Open Universities Australia (OUA) provides distance education and online courses to students in Australia and other countries. In 2012, OUA realized its on-premise infrastructure was not scalable enough to support planned growth and diversification without considerable additional investment. OUA migrated on-premise Oracle databases to Amazon RDS Oracle and the migration has dramatically simplified OUA's database management requirements. OUA also has been able to reduce the cost of Oracle database licenses using Amazon RDS for Oracle. TrueMoney provides digital payment services including a digital “smart wallet” for consumers to store value and spend on e-commerce and digital products to its customers in South East Asia. TrueMoney started its operation in on-premise data center which proved to be expensive, labor-intensive, and inefficient. Amazon RDS for Oracle is used to manage relational data of TrueMoney's websites, e-wallet web application, and payment gateways and the service is meeting the organization’s target of 99.9 percent availability while regularly scaling to support peak traffic periods. Kaplan provides higher education programs and professional training courses to more than 1.2 million students globally each year. After the 2012 Tropical Storm Sandy in New York Kaplan migrated their Oracle databases from on-premises data centers to Amazon RDS for Oracle. "Amazon Relational Database Service (Amazon RDS) allows our DBA team to focus less on the day-to-day maintenance and use their time to work on enhancements. Our goal is to move completely to RDS for all databases for ease of management and resizing capabilities." E-reverse.com is the largest application service provider in the Japanese industrial waste management industry. The 2011 earthquake in Japan led E-reverse.com to re-evaluate their Disaster Recovery strategy that previously relied on on-premises data centers. E-reverse.com migrated their Oracle RAC cluster to Amazon RDS for Oracle using Multi-AZ. "We were able to remove many unnecessary and difficult-to-support in-house implementations, while getting things like automated backups and automated failovers." University of Maryland University College (UMUC) is an open-access university serving working adult students pursuing higher education through on-site and online courses. When its legacy applications needed to be replaced, UMUC turned to AWS to build its new analytics platform and several administrative workloads. Amazon RDS for Oracle allowed UMUC engineers to focus on application reengineering while benefitting from database management benefits such as Disaster Recovery and Backup. Shine Technologies developed two specialized billing applications for the utilities industry — Network Billing Validation (NBV) and Network Billing Management (NBM). "Our Oracle database is ten years old and Amazon RDS is a key transformational tool for moving older, legacy applications to the cloud. The hardest part is establishing reliable, protected, and backed-up databases that can handle performance and size. Amazon RDS makes all of this incredibly simple, and at very low prices." Fairfax Media is a leading Australia and New Zealand multi-platform media company that publishes some of the region’s biggest newspapers and magazines. "We use RDS relational database services to offset some of the burden with managing traditional databases." UCAS deploys a dedicated RDS Oracle SE1 instance for each educational institution in the UK to allow them managing their admissions, serving 350 universities in the process. UCAS is seen as part of the critical infrastructure for the UK. There is no other way people can be matched successfully into university places here." When UK retailer Shop Direct needed to increase its website availability, the company moved its e-commerce platform to AWS. As a result, Shop Direct was able to handle record Black Friday orders of nearly 10,000 orders/hour. ShopDirect uses RDS to host their Oracle databases.